Melodic MARILLION, GENESIS, DREAM THEATER influenced Art-Rock cracker from Germany featuring input from members of PORCUPINRE TREE and RPWL! How should an Art-Rock album sound today? Answer: like ‘System Of Events’! CRYSTAL PALACE have teamed up with the label Gentle Art Of Music (home to RPWL – another huge selling German band at CDS Towers, so that pretty much means a guarantee of quality) to release ‘System Of Events’ a work from which should firmly establish the band as a bold new driving force in the Art-Rock scene. The album is characterized by bold song writing with clever arrangements and asks the age-old question: Is there a formula that determines our lives, or is our destiny in our own hands? The title track tells it all, as people have to face completely new life in the face of tragedies. From with the inhuman brutality of the attack in Norway by Anders Breivik, to the public anger after the nuclear disaster at Fukushima, through to dealing with personal grief after the sudden death of a close relative. 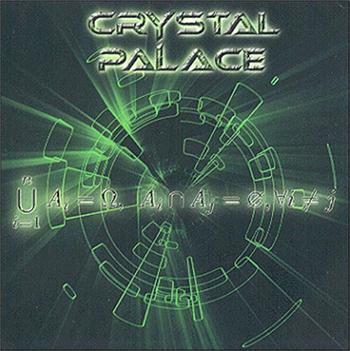 CRYSTAL PALACE merge these emotions in their compositions and refine them with musical virtuosity, thereby creating pieces that should touch music lovers across the boundaries of genre. On ‘System Of Events’ CRYSTAL PALACE pay homage to their idols: MARILLION, DREAM THEATER and GENESIS, however, rather than sounding like some poor relation of any of them, they do it in their own way, managing to successfully create a subtly different take on the Prog oeuvre, with the resulting album becoming a work that is the result of passion and a proud Berlin heritage. The CRYSTAL PALACE line-up consists of: Yenz (vocals / bass), Frank Köhler (keyboards), Nils Conrad (guitars) and Frank Brennekam (drums). In order to harness this ambitious project, CRYSTAL PALACE brought in some heavyweight players: RPWL’s Yogi Lang played keyboards and produced the album, living in the inner dimensions of the music and managing to make the subtle complexities audible. PORCUPINE TREE’s Colin Edwin features as a guest musician on bass, and finally RPWL's guitarist Kalle Wallner played his part in finishing off the title track with some spine-tingling guitar work! ‘System Of Events’ is rich in melody and melancholia and offers up some heart-wrenching themes that will grab you right from the first airing. The band arrange their music well with passages that build into beautiful climaxes in the classic Prog tradition, with instrumental guitar soaring passages backed with lush keyboard backdrops. There’s also plenty in the way of virtuosi parts to please the guitar fans; and fine, heartfelt vocals that suffer very little from the accented vocals that some German bands have in the past. There are many standout tracks, but on first airing I was particularly taken with: ‘Chasing Better Days’, ‘Green Way’, ‘Stunned By Silence’ and the closing title track. All in all, ‘System Of Events’ is a bold, fresh and mature work, building on the success of their first album ‘Pure’ and as such comes highly recommended from the CDS Towers team. ‘System Of Events’ is released on 15th September 2013.